It was a late December evening. Dusk was settling on Tondangi in East Godavari district when people heard the distant sounds of approaching police vans. It didn’t take long for them to realise what was going to happen. The police were arriving to help officials acquire lands for an SEZ. The villagers quickly gathered together, formed a human cordon and stopped the vehicles. Soon an altercation took place, which quickly deteriorated into intense battles. Finally, the villagers succeeded in driving the police away. Such scenes are becoming commonplace across Andhra Pradesh. Villagers across the state are spending sleepless nights, not knowing when officials would descend on them to usurp their lands. The Union Commerce Ministry has already notified 57 SEZs in AP and gave in principle approval for another 99, taking the number of SEZs in the state to 156, 19 per cent of the total number of SEZs in India. For the 10,000 acre multi-purpose Kakinada SEZ, officials have already acquired 4,850 acres. Fisherman Yedla Appa Rao, who sold his two acres of land in Pata Perumalla­puram in East Godavari district for the SEZ, has no means of livelihood now. He got Rs 6 lakh as compensation but he spent most of it on his children’s education. Now he neither has money nor land. “I don’t know what to do now,” he moans. For the Achyutapuram SEZ in Visakhapatnam, the government has already got 9,200 acres. The farmers are crying foul. “Development at what cost? Our villages are being wiped out. What are we getting in return? Nothing. We don’t want to part with our land. We don’t want to sacrifice our lives for someone else’s economic gain,” says 60-year-old Muthyalu of Krishnampalem vill­age, Rambilli mandal, Visakhapatnam. The fiercest agitations were against the Polepally Pharma SEZ in Mahaboobnagar district. More than 47 farmers committed suicide after the land was acquired from them in 2005. “My husband died of heart attack afterwards. We couldn’t perform our daughter’s wedding. We didn’t have enough land to bury him,” says Narsamma, a middle-aged farmer-turned-labourer. Farmers of Rambilli mandal also allege the state government used questionable methods to acquire land for the second naval base of the Eastern Naval Command. “Local leaders scared us into parting with our land,” recalls Venkateswara Rao, who sold his five-acre land to the government. The SEZ Act has also helped the real estate mafia. “SEZs are useful for those who want to make mega bucks. For instance, in the name of Kakinada SEZ, private individuals have been acquiring lands whose ulterior motive is to sell it at a price 20 times more in future,” says Bhupathiraju Ramakrishna Raju, state convenor of the national federation of people’s movement. 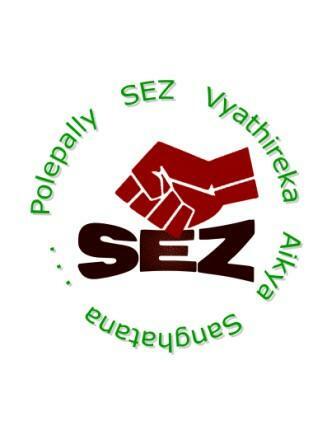 Also labour laws are blatantly violated in SEZs. “In Apache SEZ, Nellore district, several labourers were sent home since no law exists within the SEZ area to protect them,” adds Ramakrishna Raju. But the government contends that farmers are not complaining. “They are very happy with the compensation paid to them,” says state Industries Minister J Geetha Reddy.